Momentum had shifted back toward the Eagles in the final three minutes of the NFC divisional game. As soon as Saints kicker Wil Lutz missed the field goal wide right, you could feel everyone at the Superdome hold their breath. Philadelphia QB Nick Foles, last year’s Super Bowl MVP, calmly took the field and the Eagles had five plays left in the 2018-19 season. No one remembers that Foles had two incompletions, or that Darren Sproles ran for no gain. No one remembers that the Eagles had failed to put up points since the first quarter. Naturally, everyone remembers the pass that slipped through Alshon Jeffery’s grasp and into the hands of Saints defensive back Marshon Lattimore. If you paid attention, you saw Foles consoling Jeffery on the sideline. I’d venture to guess he wasn’t saying, “Don’t worry about it.” I bet he was encouraging him, reminding him that he is not defined by dropping a catch, but that he is their brother. Win or lose, they do it together. We know Foles is a man of faith, and I bet you all week God affirmed in him that he was ready for this game. This isn’t the outcome Foles prayed for, but he answered the call when God told him to step up. 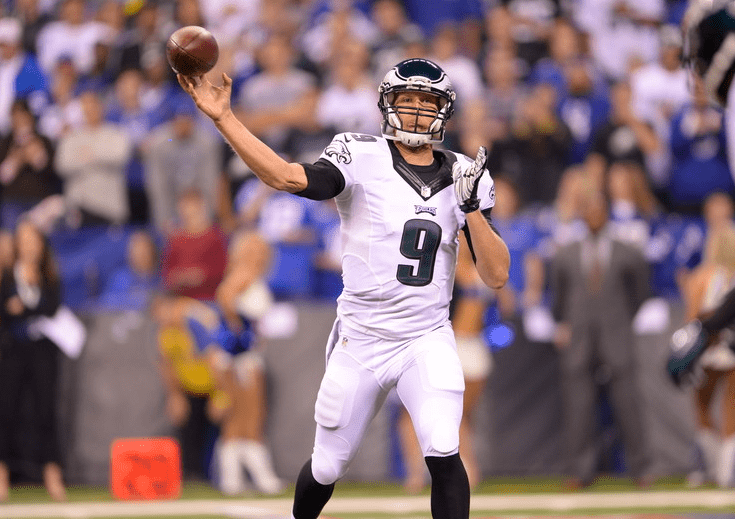 Foles was strong and courageous and carried the burden of his teammate. Foles did what Jesus would have done. Jesus tells us that we will have troubles in this world; it’s a guarantee. When the trials come, I want to face my discomfort and fight through my pain. Meditate on this command from the Lord. He is telling us to take heart and be ready! When the game is over, are you going to sulk on the bench or hold steadfast to the promise that Jesus will bring you through this obstacle?